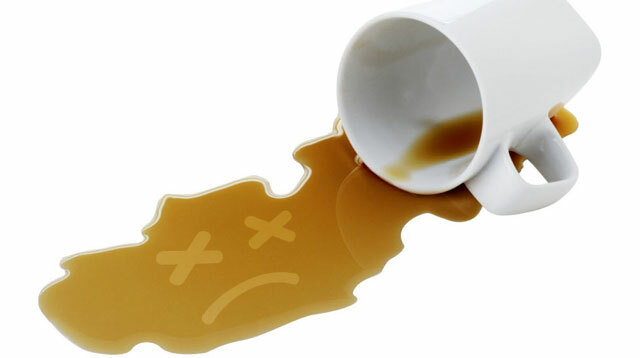 It may sound like an urban legend, but caffeine overdose can happen and it's potentially lethal. According to the Health Line, the recommended amount of caffeine for the average person is 200 to 300 mg per day, while Mayo Clinic says that 400 mg a day is safe for adults. That’s equivalent to four cups of brewed coffee, 10 cans of cola, or two energy drinks. Caffeine acts as a stimulant to the body, and there are many proven benefits to ingesting caffeine, such as reducing the risk of certain types of cancer, increased alertness, and improving memory. But once you’ve gone past your daily limit, you may start exhibiting symptoms such as dizziness, diarrhea, increased thirst, insomnia, and headache. As for overdose, Health Line lists the following severe symptoms: trouble breathing, vomiting, hallucinations, chest pains, confusion, irregular or fast heartbeat, uncontrollable muscle movements, and convulsions. Last year a high school senior in the US died from caffeine overdose. “Logan Stiner of LaGrange, Ohio, had toxic levels of caffeine in his body, and died from an irregular heartbeat and seizures after ingesting caffeine powder,” reported USA Today. The 18-year-old took Hard Rhino, a brand of pure caffeine powder that’s gaining popularity in the world of energy drinks and stimulants. Pure caffeine powder contains about 1,600 milligrams of caffeine per teaspoon. In 2010 a 23-year-old British man named Michael Lee Bedford died after ingesting two spoonfuls of caffeine powder, which is equivalent to 70 cans of Red Bull. Friends who were at the scene said that he began slurring, sweating profusely, and then puking blood. Reports said that he started feeling ill 15 minutes after ingesting the powdered caffeine. An online calculator designed by Caffeine Informer aims to guide consumers on their caffeine tolerance level. You enter your caffeinated drink of choice and body weight, and it will let you know how many servings you’re allowed to have in a day and what your lethal dosage is. For example, if your favorite coffee drink is espresso and you weight 130 lbs., you the calculator says you may safely drink up to 4.6 shots a day, while 115.2 shots is your lethal dose. But because caffeinaholics come in different ages, sizes, and tolerance levels, it’s difficult to calculate exactly how much each person can allow. If you can’t live without your morning brew, it’s best to be aware of how your body reacts whenever you ingest a certain amount of caffeine, what caffeine sources give you specific highs, and how much caffeine you are able to handle without showing worrisome symptoms. “The trick is to know your body, pay attention to what else you’ve ingested, and do your homework on energy drinks,” CNN reported.